***The LMP2 class-winning No. 37 Jackie Chan DC Racing Oreca 07 Gibson had switched to intermediate tires, while the pair of GTE Pro and Am class-winning Porsches were on wets prior to the race-ending safety car. ***The victory for Will Stevens, Jordan King and David Heinemeier Hansson, in their first race for Jackie Chan DC Racing, means the Jota Sport-run operation has claimed five LMP2 wins in six races, remarkably coming with three different driver lineups. ***Aston Martin Racing’s factory GTE-Pro cars finished two laps behind the class winner in ninth and tenth after separate issues. The No. 95 Vantage GTE was spun around by the No. 92 Porsche which resulted in a penalty for Porsche driver Kevin Estre, while the No. 97 lost time through an issue with the lit-number panel. ***Kamui Kobayashi set a new fastest-ever race lap of Sebring with the Toyota driver’s time of 1:41.800 on lap two shaving one and a half seconds off the previous record set by Sebastien Bourdais in a Peugeot 908 HDi FAP from ten years ago. ***The fastest LMP1 non-hybrid lap in the race was a 1:43.705 from Rebellion Racing’s Mathias Beche, just half a second off Bourdais’ old marker. As the WEC leaves Sebring, the new outright lap record for the 3.74-mile circuit is 1:40.124, set by Fernando Alonso in qualifying. ***Alonso became the sixth Formula 1 world champion to win a major endurance race at Sebring. The Spaniard adds to an esteemed list of Mike Hawthorn, Juan Manuel Fangio, John Surtees, Phil Hill and Mario Andretti, however he and Fangio are the only drivers to have won Sebring after earning their F1 crowns. ***Corvette ran the second half of the race with a door panel from one of its IMSA WeatherTech SportsCar Championship cars. A fault with the original door’s leader light system forced the team to replace it with a panel from the team’s No. 4 GTLM car. This action picked up a $1,000 fine from the stewards. ***The No. 63 Corvette C7.R, which finished eighth in the GTE-Pro class, also ran with No. 64 technical stickers from the 24 Hours of Le Mans. ***Gianmaria Bruni scored his long-awaited first victory as a Porsche factory driver. The Italian’s first start with the German manufacturer came at the Sahlen’s Six Hours of The Glen in 2017. 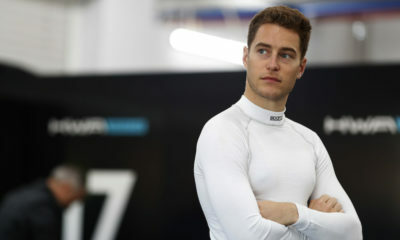 It also also marked his co-driver Lietz’s first WEC win since the Six Hours of Shanghai in the Austrian’s 2015 GTE-Pro title-winning season. ***Toyota’s No. 8 crew turned its five-point lead over the sister No. 7 crew into a 15-point advantage with a perfect pole and race win result. Rebellion Racing’s Gustavo Menezes and Thomas Laurent are now a more distant third, 54 points off the lead. ***Signatech Alpine is now the only team to have maintained a 100% podium record through the first six races of the 2018-19 ‘Super Season. Nicolas Lapierre, Pierre Thiriet and Andre Negrao moved to the top of the LMP2 standings with a second-place finish, displacing the Jackie Chan DC Racing crew of Gabriel Aubry, Stephane Richelmi and Ho-Pin Tung. ***The No. 38 Jackie Chan DCR Oreca finished a season-low sixth in class after early electrical issues pegged it back. The gap between the top-two in the LMP2 standings is only two points. ***Kevin Estre and Michael Christensen’s untouched podium streak came to and as the No. 92 Porsche GTE-Pro pairing finished fifth. ***Meanwhile, a victory worth 1.5x regular WEC points for their teammates Bruni and Lietz means the gap between the first and second Porsche crews is now down to 25 points, after Estre and Christensen arrived at Sebring with a 43-point lead and a shot at clinching the GTE world title. ***In the GTE-Am standings, the No. 98 Aston Martin Racing crew jumped ahead of the No. 54 Spirit of Race Ferrari squad for second. Team Project 1 continues to lead after Joerg Bergmeister, Patrick Lindsey and Egidio Perfetti scored their fourth straight podium after coming back from a testing fire earlier in the week. ***FIA Steward Tim Mayer waved the American flag to get Friday’s 1000-mile race underway. It marked the first American-style start for the WEC since the championship’s inaugural event at Sebring in 2012. ***BMW Motorsport director Jens Marquardt said the manufacturer is still yet to finalize its driver lineup for the 24 Hours of Le Mans, with BMW “having a look” to feature the “best possible lineup” in the race. ***So far, only Nicky Catsburg and Augusto Farfus are confirmed in the two-car BMW Team MTEK operation, with Marquardt telling Sportscar365 that the remaining four seats could be filled by “anybody” on the BMW roster.